Why is Elon Musk important to the world? If you came to this page without knowing who is Elon Musk, you are either living under a rock or are just really inquisitive. 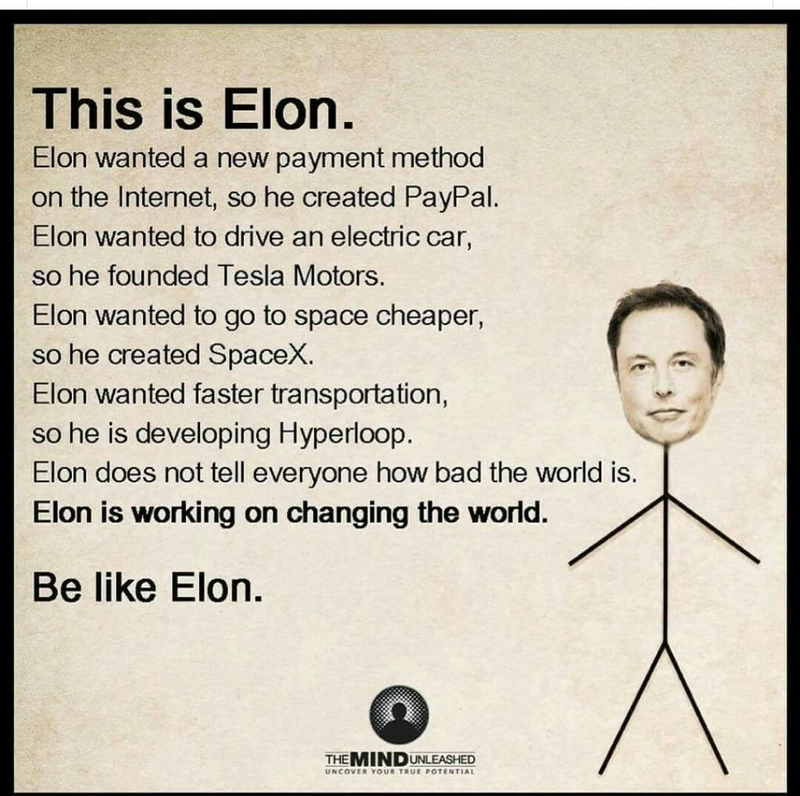 Elon Musk is an entrepreneur to say the least. He has his set of dreams. He wants to make humans a multi-planetary species. He is CEO of SpaceX which is working relentlessly to make rockets which can go all the way to Mars. They have already made rockets which can land back safely and hence be reused. Elon is the CEO of Tesla Motors. The fastest growing electric car company in the world right now. Elon is also the chairman of Solar City. He wants to build a Hyperloop. These are just some of the things he has done or wants to do. Elon Musk is the closest we have to a real life Tony Stark [aka Iron Man]. I am a big fan of Musk. I have carefully chosen the word 'fan'. I find him immensely inspirational and someone whom I deeply admire. He dreams big. I mean, really really big. A decade ago or even five years ago, if you had publicly announced that you wanted humans to settle on Mars, you would have been sent to an asylum. Dreaming big is just one part of the process. He has started working and made progress towards his dream. He is a man possessed. A man on a mission. It seems like literally nothing can come in between him and his dream. It is rare to see someone do that on such a big scale. He has faced so many challenges in his life already but he has fought them all and kept pushing himself. He cares about the rest of the world as well. I know that the only thing that drives him are his own dreams but the nature of the dreams is such that the entire world can benefit from it. The Solar City project, the reusable rockets and the Hyperloop will all benefit the world. He even made all of Tesla's patent free for anyone to use. He looks like the kind of person who genuinely wants the world to move away from fossil fuels. The most important thing that Musk bring is 'HOPE'. Hope that one day we will be able to travel and live on two different planets. Hope that one day we won't have to rely on fossil fuels and will be able to repair some of the damage we have had on our planet. Hope that everything is possible if you try hard enough and learn fast enough. Hope that dreams can become reality. I can only imagine but I guess this is how people felt when the first manned mission to the moon was successful. It is not the information we got from it that was important. It was the fact that someone had done what a lot of people thought was impossible. Maybe it will inspire someone to work towards ending world hunger or poverty or might inspire someone to find the cure for diseases that we currently think are incurable or might inspire someone to make something which none of us have imagined. 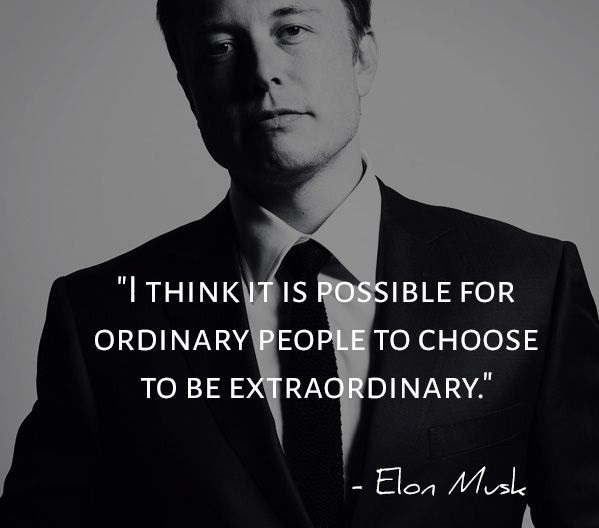 Hope and Inspiration are two rare commodities and Elon Musk brings both of them in abundance. I am a fan and I know that he inspires me to do the things that I do everyday without losing hope. 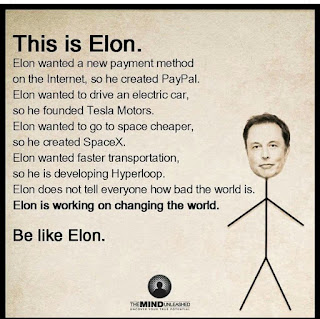 For me, Elon Musk and other people like him are what the world desperately needs right now. I wish I could meet Elon Musk someday and thank him for everything. I also wish I could travel to Mars and die there. I don't think I had ever imagined that I would ever say this. Thank you Mr Elon Musk! I absolutely love Pani Puri and given that its not easy to make it at home everyday, I am a regular at Pani Puri stalls around my house. I am sure this is the case with a lot of people. I can infer this from the crowd that I see around Pani Puri stalls everyday. I can assure you that I take my Pani Puri very seriously. I even have my ideal Pani Puri vendor to Pani Puri Consumer ratio (it is 1:4). I love other variants of chaat which are available at the Pani Puri stall as well. I don't discriminate. I love them all. One day, I saw a post on Facebook around government regulation and how it is necessary. A friend of mine, who I assume is a laissez faire supporter, posted a one line comment on that post about how Pani Puri stalls are an amazing example of how laissez faire system works when implemented perfectly. It got me thinking and I thought why not spell out the details. After all, Pani Puri is a product and it does have a market. There are no licensing requirements for Pani Puri Stall. Literally anyone who has a little money can start a Pani Puri stall. 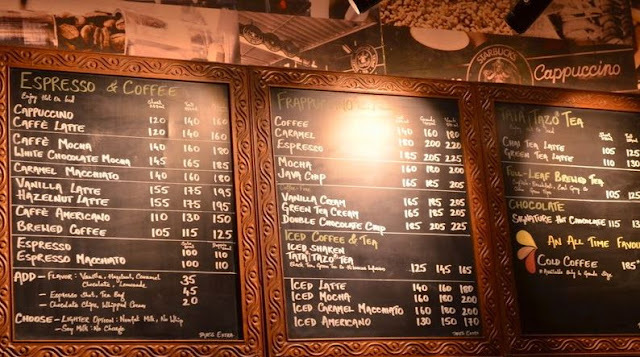 There is no minimum or maximum size for the Pani Puri stall which is mandated. Every individual owner is free to decide the shape and size of their stall. There are no restrictions in terms of the recipe. Everyone gets to make it the way they want to make it. This has led to a lot of innovation in the Pani Puri field. There are different flavors that are available now. There are atleast three-four variants of fillings. 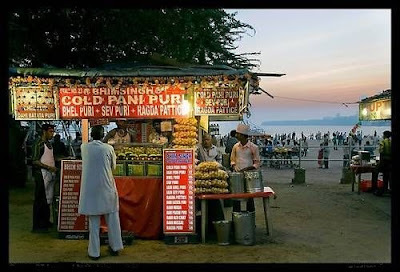 Owners of Pani Puri stalls can set their own price and very often, they change based on popularity of the stall. This hasn't resulted in rapid increase in prices of Pani Puri. There is so much competition that almost every street corner now has a Pani Puri stall and yet they continue to grow in number. Some stalls have their USP. They might have a bigger range of products. They might have a healthier variety of Puri. They might sell it for cheap. They might have the highest variety in terms of flavors. There is innovation happening in the sector. Customer needs in terms of variety, location, value for money and hygiene are all being catered to easily. 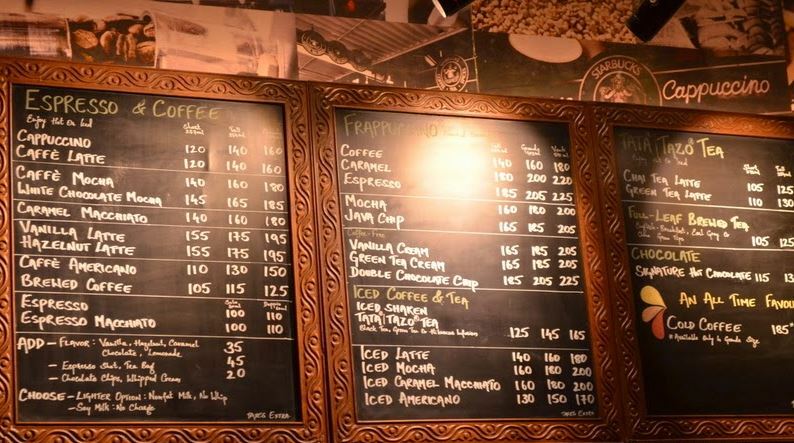 There is stall loyalty to an extent but that doesn't mean that customers don't shift if they find a better stall. Customers shift stalls if they feel like any of their needs are not being met or more of their needs are being met by some other stall. It is because of this reason that you will see stalls either adapting quickly or shutting down shop. There is amazing ease of entry and exit. There are literally no restrictions to enter the Pani Puri market and no consequences or rules for closing down your stall. Over time, rich people who are bored and have a penchant for the adventurous have also pushed the Pani Puri industry to introduce Vodka Pani Puri. I think checking this google image link can give you an idea of how far people have pushed the Pani Puri boundary. If a Pani Puri stall sells sub standard food or adulterated food or stale food, customers will shift immediately and that will lead to the closing down of the stall. Beware the invisible hand of the market. I have a feeling the Pani Puri example can be used as an example of all parts of the Laissez Faire concept. It makes me wonder how different would the world be if we adopted this method for everything. I am still learning more about the free market economy but I can tell you that I have been mighty impressed with the logic and the results so far. I could explain the various ways in which this concept might benefit market for other products but I will let you make that connection yourself. I have Pani Puris to eat. This article is a response to another article. So before you read any further, please make sure that you read 'Teach for America has gone global and its board has strange ideas about what poor kids need' by Mr George Joseph. I am a Teach for India staff member and I was a fellow before that. All the views/opinions in this post are my personal views and do not represent the views of the organisation. Although I might use 'we' multiple times in the article, the views are still personal. I felt it was necessary to write something after I read the article because it hurt me and I thought it was only fair that an article which maligns people and organisations gets a thorough fact check. Mr George Joseph, hereinafter mentioned as 'the author', wrote the article which was published on July 1 and it went viral across the education sector social media space in India pretty soon. Albeit it is slightly small group so I can't say it went viral. I got it as a part of my Google Alert in the morning. I read it while getting ready for the day and was shocked to say the least. I have been associated with Teach for India for a little more than 3 years now having spent two years as a fellow and one year on staff. I could not believe the number of unsubstantiated claims and pot shots that the author had pulled in one article. Teach for India is a 7-8 year old organisation and over the years, there have been really sweeping changes in the way the organisation works. This has happened because of the organisations commitment to continuously improve. The organisation never claims to be perfect and neither does it ever say that we have all the answers. The changes and the growth of the organisation has been possible due to the constructive criticism it has received from everyone in the education sector and even outside it. The organisations approach towards teaching and leadership development have undergone tremendous changes over the last few years which the author would have found out if he had researched and asked proper questions. The author's description of Ms Wendy Kopp's and Shaheen's education seems very sarcastic to me. In my opinion, the author is trying to hint, not so subtly, that Ms Kopp and Ms Shaheen went to elite schools and somehow that's a bad thing. The quotes are taken from Ms Shaheen's book and seem disjointed and out of context at best. The author’s description of Ms Meghna Rakshit is nauseating and unneccesary. I don’t know why the author needs to write about Ms Rakshit’s clothes and the way she speaks. I don’t know if the quotes in the article were all that Ms Rakshit had to say about the education crisis. I have a feeling they were not. “By promising innovative classroom techniques and inspirational leadership, the Teach for All model seeks to transform tremendous material deficits into a problem of character.” I don’t know how the author concluded that Teach for India or Teach for All don’t consider material deficits as a problem. Yet another unsubstantiated claim. In my personal opinion, the author’s article is more of a rant rather than an article. The indiscriminate use of quotes out of context and judgemental sentences prove that this was not an article written in good faith. I believe the author owes Ms Rakshit and Ms Currimjee an apology. The author has no flow in the article and keeps shifting focus. The article’s title is about Teach for America’s board but it talks about about one Teach for India fellow and one Teach for India staff member in not so polite way, Teach for India’s beginning and Teach for India’s purpose. The article goes on to talk about Mumbai’s education crisis and problems with the RTE, Mr Ashish Dhawan’s quotes from different interviews and his investments, allegations about Teach for India’s forced expansion and fear of screening and labelling. It also claims that Teach for India is advocating for privatisation, it is not doing community engagement well and it struggling to market the fellowship. I personally did not find any common theme or a flow in the way the author communicated. As I mentioned before, constructive criticism is what the organisation thrives on. I agree that there are different ways of doing different things and that there might be idealogical differences that the author has with the way the organisation works. If the author had communicated it that way, I have full faith that someone from the organisation would have brought it up in a meeting and would have given the suggestions some thought. I would urge anyone who has any idea to share with the organisation on what is should it should not do should reach out to the organisation. I can guarantee that there will always be someone who will listen to you patiently and intently. But this article is not constructive criticism. This is not even criticism. This is a really sad attempt to malign the reputation of an organisation and some of its employees. I don’t think the author even understand the situation or the organisation properly. The author is so busy making sensational claims that he forgets to fact check them or even ask someone to back it up. I respect the fact that the author has the right to free speech but to be very frank he is abusing that right here. The title of the article states that this article is about Teach for America’s board but in the entire article, the only person mentioned who is associated to Teach for America is Ms Wendy Kopp. Also, nowhere has the author talked about how anyone is claiming to know what poor kids need. Hence I don’t know why the article is titled this way. I took time out of my schedule to write this reply because I care. I care about the people mentioned in the article. I care because the education sector already has a lot of challenges and can do without fear mongering ‘reporters’ who write articles with sensational claims without substantiating any of them. It is my humble request to Mr George Joseph to get in touch with me or any Teach for India staff member to better understand the work that we do. I am sure he will be pleasantly surprised. Mr George, I know that you, like us, want the best for the children of our country. Let us work towards it rather spend your time in manufacturing conspiracies and spreading negativity. India is the youngest country in the world. Its population is second only to China and given the current growth rate of population, that's going to change soon as well. The necessity for every country with a population as high as India's is to first make sure that younger generation is well nourished and well educated. Nourishment is something which the government hasn't been able to do much. The Food Security Act, however crazy it may be, is one way the government is trying to deal with the nourishment issue. The other way is to try and reduce absolute poverty. Overall economic development help reduce it. So there are some efforts the government is making in trying to get nourishment sorted. Education is one field which is a lot more controversial than nourishment. This is because of the massive number of people involved in the field. The number of citizens employed in education in India is massive. There are close to 2.5 crore teachers in government schools alone. India doesn't even have enough teachers even at the primary school level. Reports suggest that India needs close to 7 Lakh teachers in primary! Right to Education was thrown into this already messy mix. There are some reports which suggest that it is forcing schools to shut down and causing problems to the students while other reports suggest that that is not happening. The problem with teacher shortages and school shortages all comes down to the fact that the government mechanism hasn't been able to keep up with the speed at which the demand for schools. This has led to over crowding in schools. The government mechanism for starting a school is very cumbersome and also takes very long. Just to give you an idea, look at the examples of Delhi and Poona. It is easier to start a company in the country than a school. The regulatory and financial requirement have made sure that people are repulsed from starting schools inspite of the demand. It is beyond comprehension why a country which needs more schools has such tough requirements for starting schools. Shouldn't we make it easier to start schools for everyone? The government is clearly not equipped to start so many new schools so why not let others do it? Anyways the government doesn't allow organisations to 'profit' from schools. So the only ones who are trying to start schools are supposedly doing it for social good. Private players have the resources and the skill to do the job in a much better way. The ASER survey found out that government spends three times the money private school spends per student and both of them get the same student outcomes. The rise of small school specifically for low income communities shows that there is demand. The RTE has already set parameters which the government wants everyone to follow. The government can focus its energy and resources on evaluating schools and making sure that they meet all the standards. Private players should be given a chance to run schools. The idea is to slowly and gradually make government a regulatory body instead of an administrator. Please make it easier to start schools in India. The modern day education system is very complex. In an extremely competitive world where education is a big differentiator between people, what we teach our children becomes even more important. Everyone agrees that our children need to have exposure to different things happening in the world. Everyone choose relevant content to teach and that's a slightly settled topic among educators. The major bone of contention comes when educators have to make a choice between real life skills and self awareness skills. Real life skills are like writing stories, coding, debating, drawing and such. Self awareness skills are having the ability to understand our strengths and areas of development. It also includes skills which make us more aware about our community. 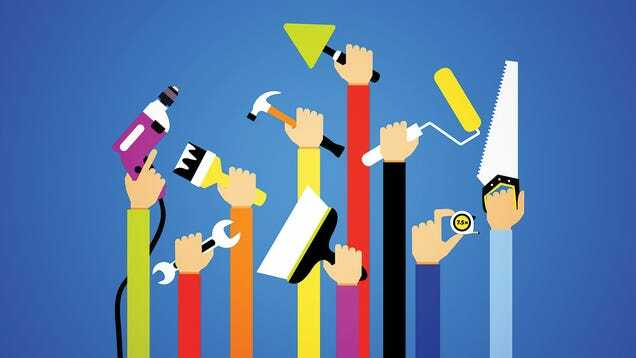 Now ideally, you would want to give both these skills to our children but given the scarcity of resources, sometimes we might have to make a difficult choice and we might have to choose one of them. On the one hand you have real life skills which make you more employable. Something that every employer looks for in a potential employee. They are always specific and also keep changing with the times. For eg, there was a time when knowing how to use a computer would give you a leg up on your competitors when there was a job opening. We can compare it to say, coding, in our current time as something similar to that. It would be very difficult to choose not to teach our children skills like these. On the other hand we have self awareness skills. They are skills which would make us reflect on our actions and our behavior and make us more aware about ourself and our actions. These are things which have stood the test of time. A self aware person was appreciated a decade ago and we can safely predict that this person will be appreciated even in the next decade. I agree that self awareness is also a big life skill but it is not something which will directly help you get a job and hence aid your survival. It just means a company making software would love to have an employee who is very self aware but they would definitely want the employee to know a computer language that's essential for their work. Self awareness is currently a good to have and not a must have for most companies. So we can see that there are clear benefits of both life skills and self awareness skills. In most cases we would like to focus on both but in case there is need to make a choice, it will depend on the teacher. A good question that can help the teacher decide is "What do my students need?" It goes back to the context. I believe that if there is an urgent need to know skills for survival, then life skills should be taught but if the student doesn't need to worry about survival for a few years, then self awareness skills should be taught first and then the focus should shift on life skills. Again, that's just my opinion. Teachers will always have the last say and I believe that they can make it that choice for the students after consulting the parents of the students. Is there a way do teach the children self awareness and life skills? But the question is if you had to choose, what would you choose? We like to complain a lot. All of us complain multiple times in a day and if we look at what all we complain about, there are trends to it. We complain about the traffic, how insensitive people have become, how corrupt our society has become or how our education system is completely screwed. I was someone who kept complaining about the education system because when I joined college, I felt like my schooling had done nothing to prepare me for the real world. Unfortunately neither does college. We are just a bunch of machines which our factories churn out. Quality education, if I can call it that, has become more and more exclusive instead of being inclusive. The percentage of our children who get access to a quality education is reducing everyday. My definition of quality education is unfortunately very very basic and we still miss the mark by a lot. Quality education, at a minimum, would entail, being taught something new by a teacher everyday and learning how to use those knowledge and skills in real life. Majority of our children don't get it even this basic education. I am not even going into the quality of teachers or the infrastructure of the school or the extra-curricular activities. Unfortunately for our country, those things are a luxury. So yes, I complained about how the education system, which according to me is the corner stone of everyday society which wants to prosper, is well and truly screwed. On day, one of my teachers or someone I worked with, shared a photo which read "What are you doing about it?" That question hit me really hard. I couldn't figure why this question bothered me so much. I then related it to my complains about the education system and that's when my journey began. I started looking around for things that would give me an opportunity to contribute in some way to improving or atleast trying to improve the quality of education. I interned with the education department of my state and then one day, by chance met Shaheen Mistri, the CEO of Teach for India. She is inspirational to say the least. I was intrigued by the proposition of the fellowship and surprised at how no one else had tried this before. Two years after that meeting, I became eligible to apply for the fellowship and I was on my way to being a Teach for India fellow. I did not fully understand what that meant at that time. I read a lot about the fellowship, visited classrooms run by TFI fellows and ended up doing the fellowship. I am not exaggerating when I say, it was one of the best decision of my life and those two years have been the most satisfying years of my life. I taught an amazing bunch of 90 students in their 7th and 8th grade. I think I learned more I taught. I became a lot more aware about the challenges that the education sector faces. I got on the ground updates of different aspects of the sector. I got a chance to get my hands dirty and got amazing guidance while I was doing it. 1. Every child has potential to do great things. Every. Single. Child. 2. The assumptions we have about education sector are sometimes way off for eg, government teachers are lazy, infrastructure solves most problems . 3. Income inequality and societal equality can only be reduced if we reduce the inequality in opportunities that are accessible to the student. 4. Never to go in with the assumption that everything needs to be changed. 5. Understand others before trying to make them understand. 6. Empathy is my best friend. 7. Every child deserves unconditional love. These are eight random points that come to my mind when I think about the things I have learned. I am sure I have learned a lot more. It keeps coming to me when I dealing with different kind of situations in life. Its funny how teaching a bunch of kids in class can teach you so much and have such a great impact on your life. All of this and you get to put your own small dent in the education sector. Teach for India is one of the only organized, well planned and structured way to get involved in the education space in the country. Do it only if you want to. No one should push you to do something like this. The fellowship is very hard and will take a lot out of you. It will make you cry and make you laugh at the same time. It will break you emotionally but will end up making you stronger. You can't go through all this just because someone convinced you to do it. You must want to do the fellowship. The next time someone asks me,"Why should I do the Teach for India fellowship?" The fellowship application form can be accessed here. I am running the Mumbai Marathon to raise funds for Teach for India, please consider donating. The money will go straight to the Teach for India account and you will get a tax exemption certificate for the donation. To donate, go to the Standard Chartered Mumbai Marathon page. Labels: Fellowship, Mumbai Marathon, SCMM, Teach for India, Teachers, Why.